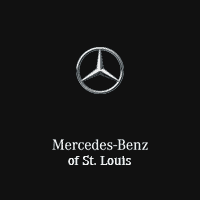 You invested your hard-earned money into your Mercedes-Benz vehicle, and here at Mercedes-Benz of St. Louis we know that you look forward to taking its wheel each and every day. Staying on top of general service and maintenance is essential in keeping your vehicle in perfect working order, and who doesn’t prefer that? Let our team of experts help keep your Mercedes-Benz functioning and running as smoothly as the day you drove it home from our Mercedes-Benz dealership. We proudly serve drivers from Laude to Clayton, and beyond. Please feel free to give our parts department a call anytime you’d like at (314) 647-2400 to discuss whatever piece you may need or stop into our St. Louis dealership at your earliest convenience.